Allright, while we’re at the shape issue – these are some that I’d never wear or even do! The Fan (WTF?!) This last one is pure ugliness!! YIAKS! New in: Ballerinas? Or Coffin, maybe even squaletto? Allright, they’re all over the internet and Instagram as well.. This shape, ballerinas. At first sight, I definately didn’t like them. For me it looked half-done, chubby and non-flattering. 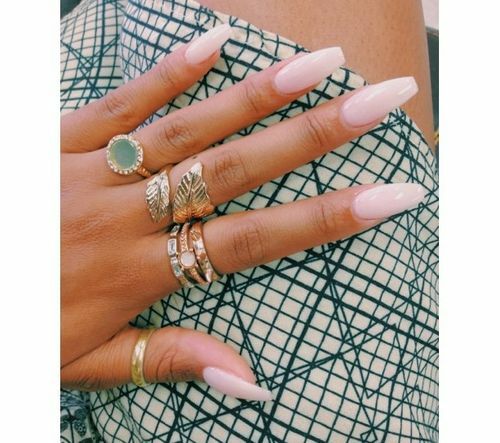 But seeing it again and again I got used to it, and I must say, on the perfect nailtype I absolutely adore it! I’m wearing ballerinas right now. For me it’s a perfect alternative. I’ve been wearing stillettos for so long, and getting a bit bored I’ve tried to go back square, but at this point it is still a little bit too ghetto for my fingers. 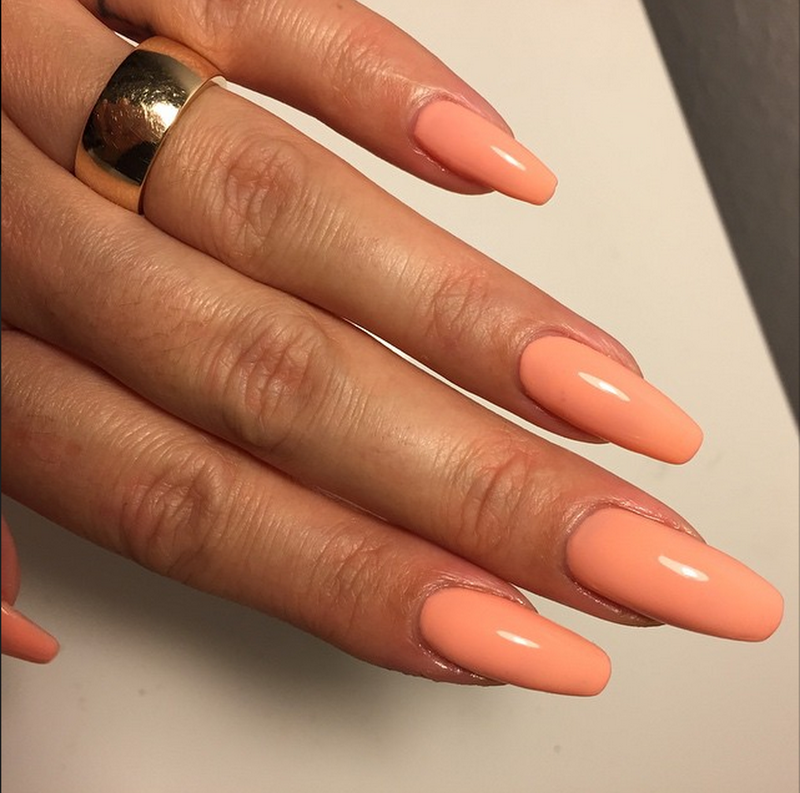 This shape, ballerinas (Love the cute name as well) is really flattering on my nails. That being said, I love the shape, but it definately doesn’t work for everybody. I’ve seen a lot of salons where they just follow this new trend, and shape all f the clients like this. And that’s a shame! 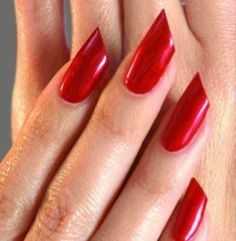 It should only be shaped on natural long and and curved nails. I randomly picked up some images on the internet, for my do’s with this shape. 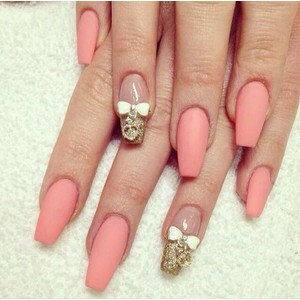 J ust make sure that you dont do this shape on a shorter or wide nail, it really doesn’t look flattering. How do you like this new shape?